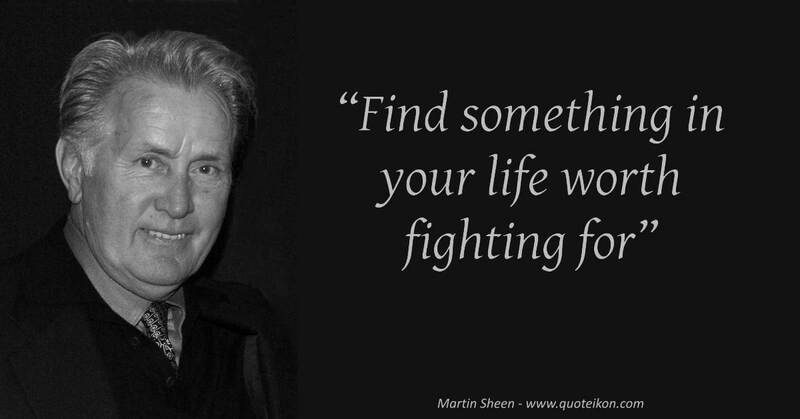 Born: 3rd August 1940, Dayton, Ohio, U.S. 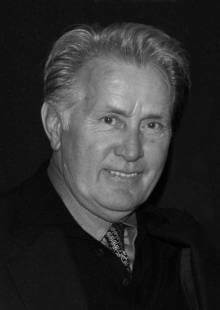 Quotes about Martin Sheen: Nicholas Cage said his words had a lasting effect on him: "He told me the only thing that matters with film making is if you like where you were and who you were working with"
Actor Dule Hill said this of him: "One of the first things Martin did was he showed me a handshake that Laurence Fishburne taught him during Apocalypse Now. We still do it to this day"
"Nothing ever gets done unless it's done by a fanatic"
"I hold Charlie's accomplishments dearer than my own. He has been through so much and overcome so much more. Even if he weren't my son he'd still be my best friend"
"Marlon Brando changed the way people acted, then James Dean changed the way people lived. He was the greatest actor who ever lived. He was simply a genius"
"We are not asked to do great things. We are asked to do all things with great care"
"There's no way that I could be the president. You cant have a pacifist in the White House"
"While acting is what I do for a living, activism is what I do to stay alive"
"I learned I had to stand for something so I could stand to be me"
"There is no greater virtue than honesty"
"Find something in your life worth fighting for"
"I love my country enough to suffer its wrath"